Is something like a one board quiver even possible in times of Tinder? Or do we always feel like we need variety in our lives? And if it’s possible, what surfboard could it be? In my eyes, diversity is fun! I’m talking about surfboards and waves, and nothing else! Let me give you a short list of boards to look into if the idea of traveling with only one surfboard appeals to you. Riding different boards helps you a lot to understand surfing better. Doesn’t matter how good you are. If you have the chance to take out a Longboard or a Fish on a small day, do it. Or take a Foamboard and catch a few waves with it. Once it gets a bit bigger, ask a friend if you can borrow his Semigun. If you surf different shapes and styles of boards, you start to understand how little details effects the way you actually surf. Even if it feels weird sometimes, it will help you. But if you’re going on a surf trip, of course, you want to trust your board and know what it’s going to do at any given moment. To travel with three boards would be perfect. One board for small days (maybe a Fish or Mini Simmons), your Everyday board, which you surf on most days, plus a Step-up board for the serious days. But three boards would be too heavy to travel with, so I compromise and don’t bring a small wave board at all. Instead, I surf my regular board until it is too small to surf. It’s for sure more exhausting than laying on a Mini Malibu, but it works. How nice would it be, if you could travel with only one board! A single board bag with a one board quiver inside! 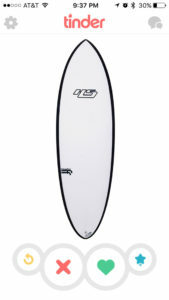 A board that works in small waves, but at the same time, a board you feel comfortable to paddle into bigger waves. Over the last years, a lot has happened concerning surfboard shapes and materials. People like Kelly Slater surf big Pipeline in Hawaii on boards that are shorter than six foot. A decade ago, no one would have ever thought this could be possible. So how can it be? One thing that most of those quiver killers or one board quiver have in common is that the widest point of the board is more towards the nose. In doing so, you’ve got more volume under your chest than in a more traditional shaped shortboard. It helps you paddle faster, and take off earlier, which boosts your wave count in small waves a lot. On bigger days, however, more foam under your chest helps you to get to your feet before it gets too steep. OK, here are a few suggestions for possible partners for your next trip, or your one board quiver… Cheating allowed! And if you have one of those boards or another idea for a one board quiver, please share it with us in the comment section. Probably the most famous of all “one board quivers.” It was the most sold model a few years in a row worldwide, and I’m sure you’ve seen it in Line-ups on all continents. It doesn’t matter what the waves are doing; it seems to work. But then again, with someone like Craig Anderson, this doesn’t come as much of a surprise. You want to surf this board extremely short, what might feel weird until you get used to it. The other unique aspect of this board is the specially developed and patented technology, what makes it really strong. I’m curious how it feels, but I’ve never surfed it myself. Not yet. But I’ve seldom heard someone talking bad about it. 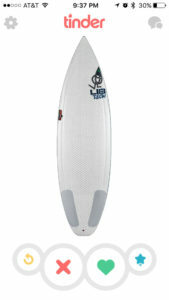 The main reason for most people to buy a Lib Tech Surfboard is because of how strong they are. If you want to travel with only one board, you want your board in the water, and not in some ding repair shop. Lib Tech has a lot of different shapes and most of them are made to have fun in less than perfect waves. 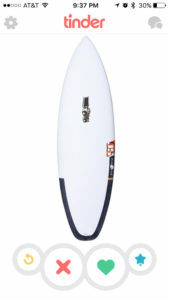 But with the “Air e ola,” they made a high-performance shortboard, which works fine in small waves, but you feel comfortable on it in bigger and steeper waves as well. As advertised on their homepage, “The Air e Ola is the perfect high-performance surfboard for aggressive, progressive, fast and precise surfing in all conditions.” Or in other words, it’s definitely not the board for chilled soul surfing down the line, and not as forgiving as the Hypto Krypto. If this kind of surfing is YOU, then you can stop reading right now because you might have found your quiver killer! It is my personal travel buddy and match (but not the only one), and I like it. If you want to know more about it, and how good it really is as a travel board, ready my post about the Air e Ola. This Australian Jack of all trade is the weapon of choice of many contest-surfers like Parko, Wilko, Dusty Payne, Julian Wilson or Adrian Buchan. Like Lib Tech’s Air e Ola, the Blak Box 2 is a high-performance shortboard, what makes it a board for more advanced surfers, rather than intermediates. the same time stronger alternative than to your standard PU board, without compromising flex and durability over time. Every time world-traveler Kepa Acero is heading out, he never really knows what kind of waves he might find. But he knows, he will surf. Equipped with the stoke of a grom, and the surf skills of a pro, no water is foreign enough fir him to not paddle out. The board he trusts in every possible and impossible situation is made by Pukas in the Basque Country (where he’s from as well). The outlines of the “Original Sixtyniner” remind a lot of those of the Hypto Krypto. It is the only option out of the four boards in this short list, which comes as a standard PU board. It makes it easy to have it fixed everywhere around the globe, but it is more sensitive to dings, cracks, and holes. In my opinion, this is a disadvantage for a one board quiver, as you don’t have a backup board for the time, your board has to stay out of the water. 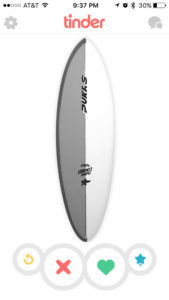 However, what really makes this board special, and separates it from the rest is the center fin box, and with it the possibility to surf it as a single fin. Thanks to this very subtle detail, you’ve got two completely different boards in one! Anyways, this list here is just a short and more or less well-known selection of possible matches. Of course, you can keep swiping, trying and hoping for something better to come. There is nothing wrong with trying different surfboards, and surfboard monogamy might not be something that can or has to work in the long run. It doesn’t matter if it is in times of Tinder, or during the Longboard Hippie era. But either way, or because of it, it can be really liberating to travel with only one board, and trust it blindly.